Pitchers and catchers are scheduled to report for spring training the week of February 10th. Position players show up a week later. 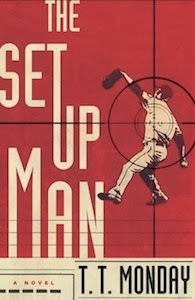 Let's put another date on the calendar: March 11 is when my first thriller, THE SETUP MAN, hits shelves in hardback, eBook, and audio. Seems like a date has been posted on which certain people have to report. But this is too vague. There are no details to provide any explanation to the readers. A very poor job.